Jeremy Kouba, rear, second from right. Jeremy is the son of Debra (Baker) Conner and the grandson of James Baker. This picture was taken directly after the US invaded Afghanistan following 9/11. 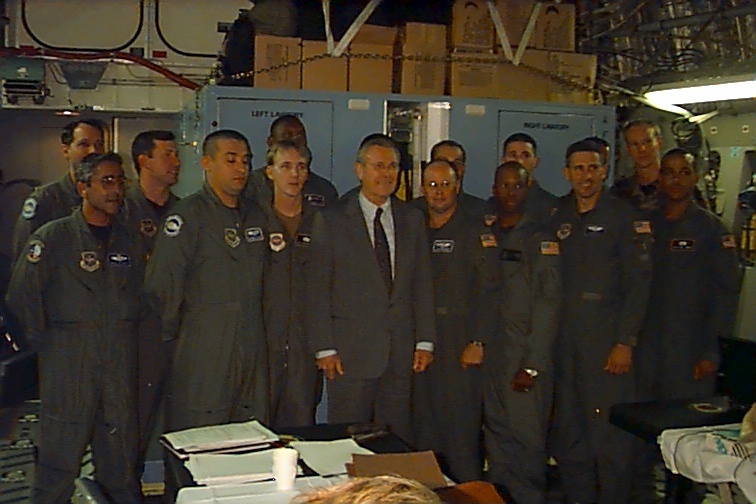 Jeremy and his fellow airmen are posing with then Secretary of Defense, Donald Brumsfield.